Missile attacks will have worldwide consequences. Houthi rebels fired antiship missiles at an American warship in the Red Sea earlier this month. The United States Navy responded by firing cruise missiles at Houthi positions and at coastal radar stations. While there was no damage to American warships, the attack showed that Houthi extremists felt capable of challenging the world superpower. While this may seem like a small event in the midst of a chaotic world, this failed attack has international ramifications. 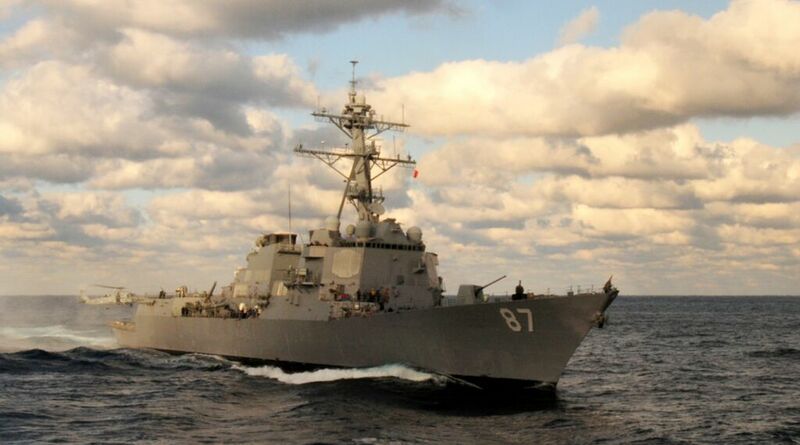 The Houthis targeted the uss Mason on October 9, an American destroyer operating just north of the Bab el-Mandeb Strait. They again attacked on October 12. This was the 16th anniversary of the attack on the uss Cole, which was severely damaged when a boat loaded with explosives rammed into its side. Prior to the attack, the suicide vessel had anchored at Aden, along the Yemeni coast. There is a long history of anti-American extremism in Yemen from both Sunnis and Shiites. There is a twofold significance to the failed attack on the Mason. First, the Houthi rebels are backed by Iran. Second, even minor attacks around the Bab el-Mandeb Strait could disrupt one of the world’s key trade routes. The connection between the Houthi rebels and Iran is very clear, and there is overwhelming evidence that the Houthis are a tool Iran is using in its quest to establish an Islamic caliphate in the Middle East. Some of this evidence includes Iran boasting in 2014 that it controlled four foreign capitals, including the capital of Yemen, which was then controlled by Houthis. However, further evidence has surfaced. U.S. Vice Adm. Kevin Donegan revealed that four arms shipments from Iran to Houthis in Yemen were intercepted by U.S. Navy and coalition forces. This statement came after U.S. Central Command chief Gen. Joseph Votel said that Iran may have played a role in the missile attacks. This connection was further amplified when the U.S. responded with its own missile strikes and Iran then deployed two warships off the coast of Yemen. While the situation did not escalate further, the objective is clear: Iran is using the Houthi proxy to probe and challenge U.S. protection of the Red Sea and Gulf of Aden. What is Iran’s objective? The Bab el-Mandeb Strait connects the Gulf of Aden to the Red Sea, the southern route to and from the Suez Canal. This is one of the most important sea routes in the world. Almost all trade between Europe and Southeast Asia passes through this sea gate. Millions of barrels of oil pass through the strait on their way to Europe, Asia and America. Control of this sea gate would exponentially increase Iran’s power, giving it leverage over its regional rival, Saudi Arabia. If a coastal foe can menace shipping transiting this narrow seaway, it would disrupt the shortest, most convenient sea route connecting Europe with South and East Asia. Doing so would carry significant economic and military repercussions.… Houthi antics could drive insurance rates sky-high for merchant shipping, prompting shippers to bypass the danger zone …. In a sense, then, the Houthis could conscript insurance firm Lloyd’s of London as an ally—magnifying their influence while distorting patterns of trade and military operations. The nation that will decide the outcome is the United States. The action or inaction of the U.S. Navy will ripple throughout the world. Despite the massive superiority of the U.S. Navy, especially compared to Houthi rebels, it is becoming increasingly ineffective at protecting key sea lanes. What is more, the United States may not be able to afford the cost of maintaining police action for long. The antiradar decoys and cruise missiles deployed by the uss Mason cost around $8 million. If similar attacks continue, American responses will continue to be a very costly strategy, especially if it were required to sustain it for any period of time. Even the low-technology, low-budget Houthis would make the U.S. Navy and taxpayer pay a high economic price for protecting this sea lane, even if they never score a direct hit. What further complicates the matter is the Iranian relationship with America. With the signing of the U.S.-Iran nuclear agreement, and the “warming” of relations between the two countries, it is unlikely that America will take any direct military action against an Iranian proxy. Even if it did eliminate the Houthis, Iran’s influence remains. The entire danger of the Bab el-Mandeb Strait being threatened is a product of President Barack Obama’s strategy to make Iran into an ally. The actions of the Houthis are a clear, direct message to America that Iran is no ally, but an enemy. If America does not act to end a disruption of the Bab el-Mandeb Strait, it could result in another nation acting militarily against the Houthis, and Iran. There is one final layer to the current situation around the strait. The C-802 antiship missiles the Houthis fired are of Chinese origin. Although supplied by Iran, they originated from another American rival. With China deploying much more sophisticated weaponry in the South China Sea, it does not take much imagination to see how much of a threat China poses to another sea gate. If the Houthis pose a threat to losing the Bab el-Mandeb Strait, how much more of a threat does China pose to trade in the South China Sea?